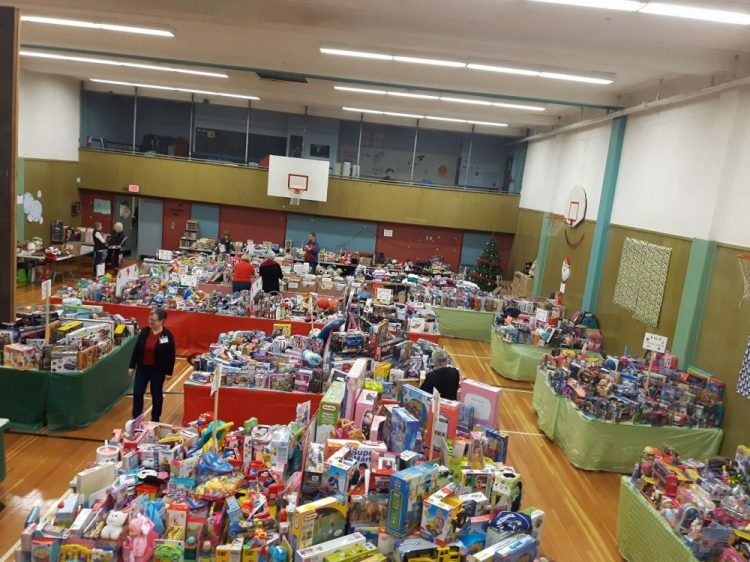 The Toy drive kicks off their 36th season at Woodgrove Centre on Thursday, November 15th, 2018. We will be providing gifts, books and games to over 1200 children this year. Once again we ask Nanaimo to help bring a little happiness to children from newborn to age 16. The Toy Drive works with many organizations and businesses to make this happen but we depend on the generosity of the people in Nanaimo to make donations of new, unwrapped toys at one of the many drop off location in the city. Gently used toys are also distributed at the Toy Drive so if you are looking to clean out those toys that your children no longer use, we would be happy to pass them forward. You can also donate cash through “Canada Helps” or directly and we will use it to purchase toys or help with running the Toy Drive.